Why would a loving God...Send me to Hell? Why would a loving God…send me to Hell? The title itself is found to be a very common question asked by millions of people from all over the world. In fact, you have probably heard or have even made the statement yourself and probably have done so more than once. 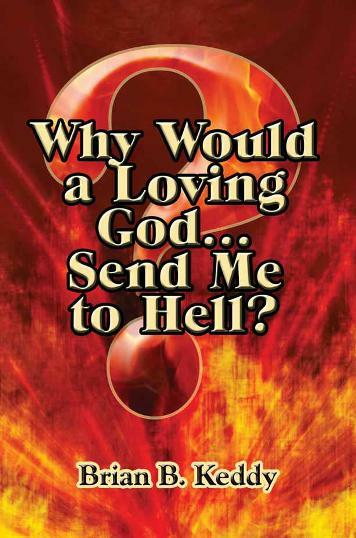 Why would a loving God…send me to Hell? The Lord impressed upon my heart to write this book and to give answers filled with enlightenment in regards to that very question because that statement is made by millions of people literally on a daily basis. There are so many different ideas on how to attain Heaven and the righteousness of God. Nevertheless, many of the ideas presented seem reasonable and most acceptable, but are they, and will God truly accept what people think and desire? There are some people who have gone so far as to question the reality of Hell and have even attempted to simply cast it out of their minds as a non-reality. Does that then mean Hell ceases to exist? What is Hell, and what is the divine purpose of Hell? Again, why would a loving God make and design Hell in the first place? These are some of the questions that will be answered, and the answers are most challenging and most sobering in so many ways that people will be blessed to be able to come into the knowledge of what is so commonly misunderstood, namely Hell—the place no one truly wants to exist. In fact, the answers are eye-opening and will shock, if not stun, many people as to “Who” and “What” will send a person to Hell!